Piedmont Resin Supply is a leader in the engineering thermoplastics industry through our commitment to excellent quality and competitive pricing on every product manufactured in our facilities. 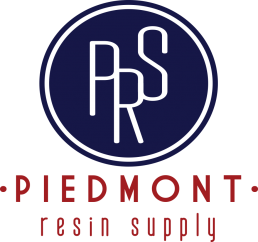 Founded in 2013, Piedmont Resin Supply is headquartered in Cartersville, Georgia, with 140,000 square feet of manufacturing space. Our on-site testing lab is outfitted with state of the art testing equipment that performs in-depth and precise tests on every product we make before it leaves our facility. We are committed to providing unmatched customer service with quality products that are competitively priced. Piedmont Resin Supply continues to be a leader in the compounding industry. Our success can be recognized by our year-to-year growth and continued customer retention. The management team at PRS is devoted to making sure our mission statement is being implemented on a day-to-day basis and are proud of what we do and the resins we produce. As an ISO 9001:2015 Certified registered company we stand behind our production process and all the resins we manufacture because we always hold our materials to the highest standards in the industry. Below is a brief summary of our capabilities. Piedmont Resins is a leader in polymers focused on engineering thermoplastics. We always provide excellent quality and competitive pricing on all of our products. As an ISO 9001:2015 Certified company, we take great pride in ensuring a layer of quality assurance most suppliers simply cannot provide. Please choose from the options below to learn more. Thank you for your interest in Piedmont Resin Supply. A member from our team will be in touch soon. Thank you! © Piedmont Resin Supply 2019. All rights reserved. Powered by VGI Group.